I AM cycling along Caloundra’s Coastal Pathway, scavenging snippets of conversation from the people I pass, like a cheeky seagull snatching fish and chips. On this wondrous winter day, someone is pontificating the benefits of full cream milk versus skim. I glide past without catching the answer. 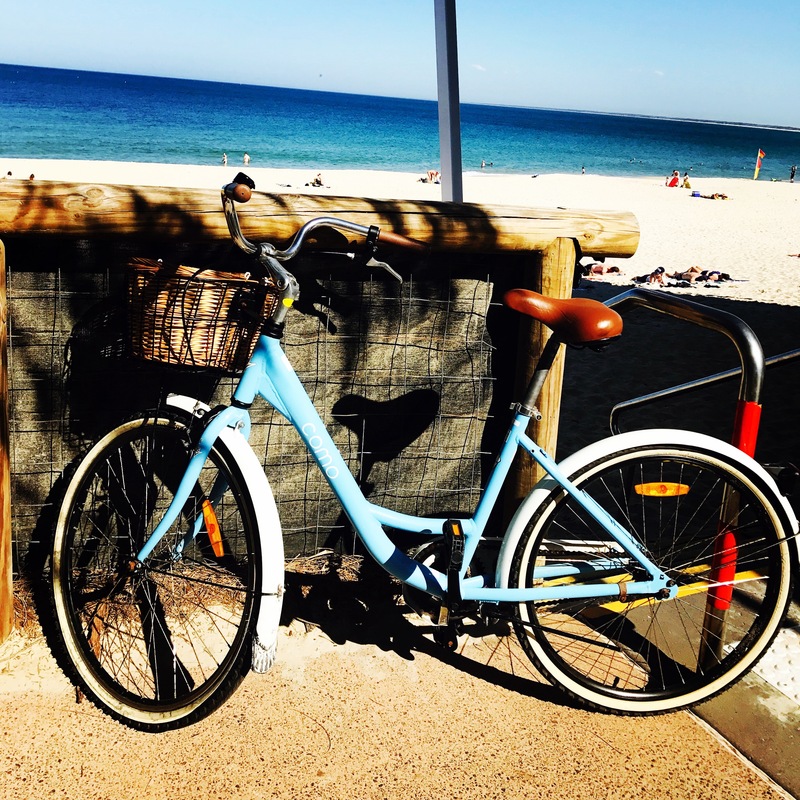 The air is seasoned with sea salt and pine needles on this retro ride which takes me from Moffat to Shelley Beach, and back pedals 50 years to when the Sunshine Coast was known as the Near North Coast and no one drank skim milk, nor did they smash avocadoes. 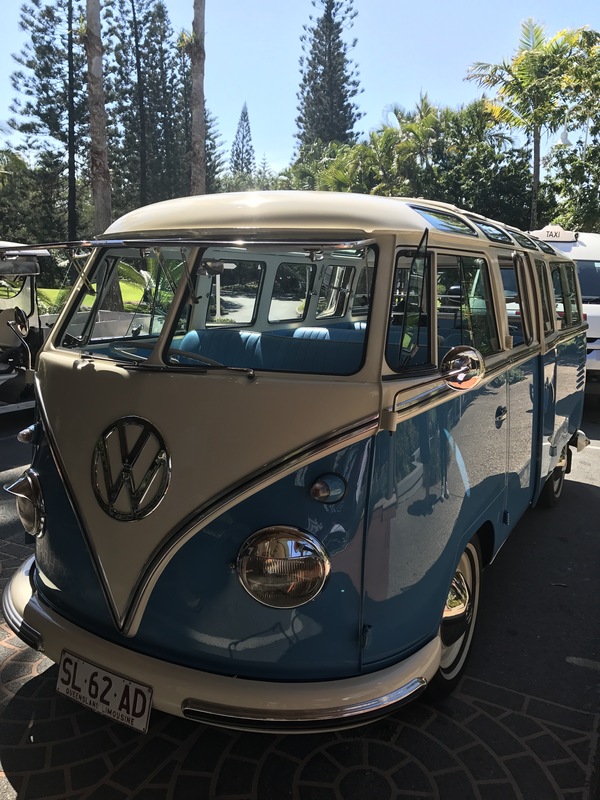 My journey back in time begins in a baby blue kombi van which dates back to 1962 as we wind our way from Maroochydore, Alexandra Headland and through Mooloolaba to Caloundra. The Eagles are crooning Peaceful Easy Feeling and I alternate between staring at the ocean and our long-haired driver Michael Turner, whose blonde locks speak of surf and sunshine. In Michael’s Deluxe Kombi Service, you can perch on a bench seat of a split screen Kombi, without a seat belt, open the sunroof and invite the Sunshine Coast in. After he’s dropped us at our accommodation, Michael plans a sneaky swim before his next appointment. Michael is my kind of man. 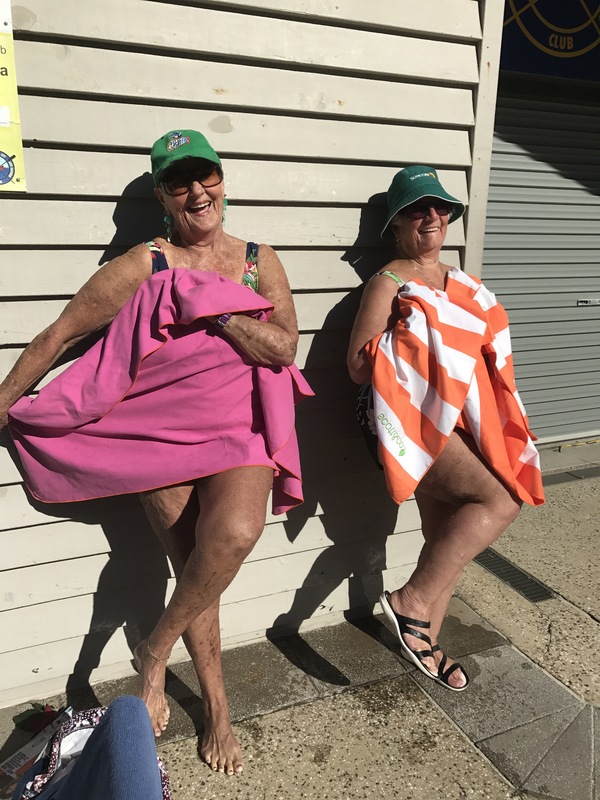 We arrive at Rumba Beach Resort, which was once the site of a former Salvation Army summer holiday camp, but these days boasts boutique one, two and three bedroom apartments which maintain that old-fashioned hospitality. Upon arrival, you’ll receive a “Rise and Shine” card which entitles you to complimentary coffee and muffins on your first morning. 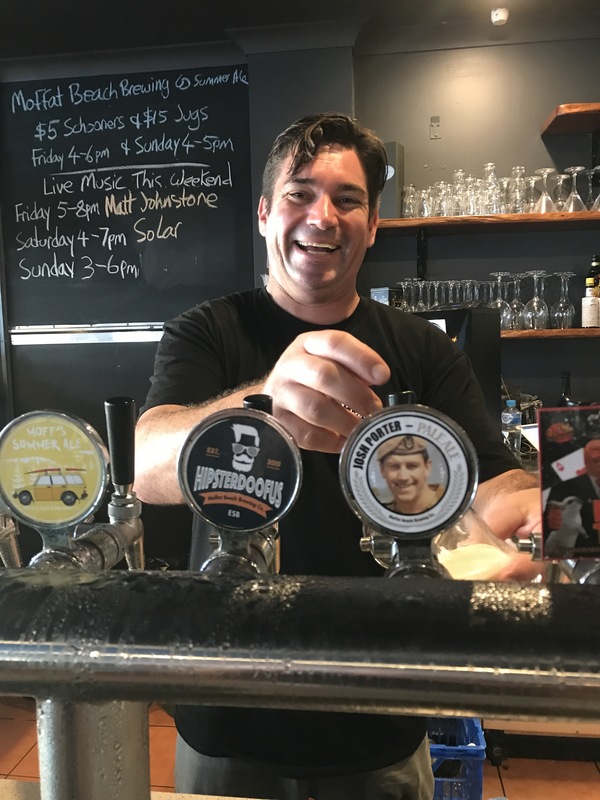 General Manager Bill Darby says Caloundra still carries a “country town” feeling where you can park the car and not touch it for a week. “Caloundra is a relaxing, Queensland seaside holiday. It is not the kind of place where you feel you have to get dressed up,” he says. 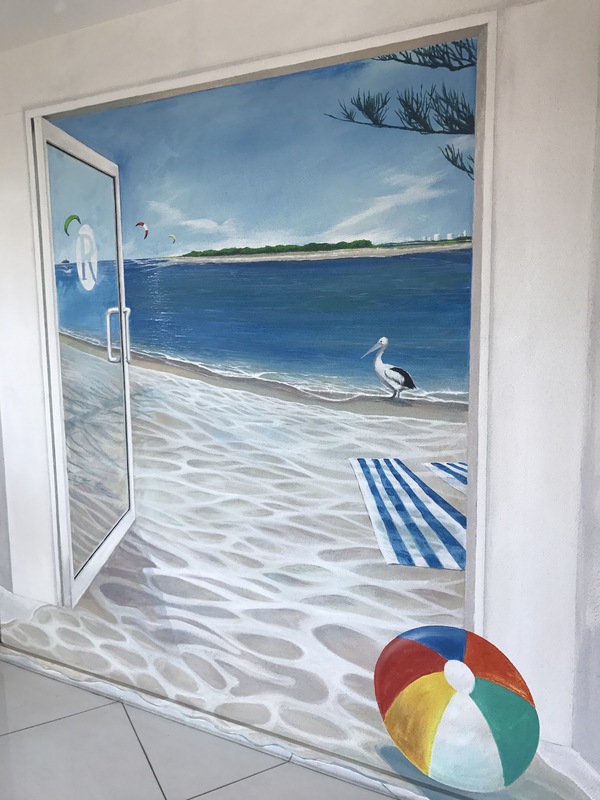 Over at Caloundra House Boats, Bruce Boucaut is putting the finishing touches to Australia’s first “water glamper”, a floating camping site with all of the benefits of land glamping, and which will be located anywhere in the inshore waters around Caloundra and the Pumicestone Passage. 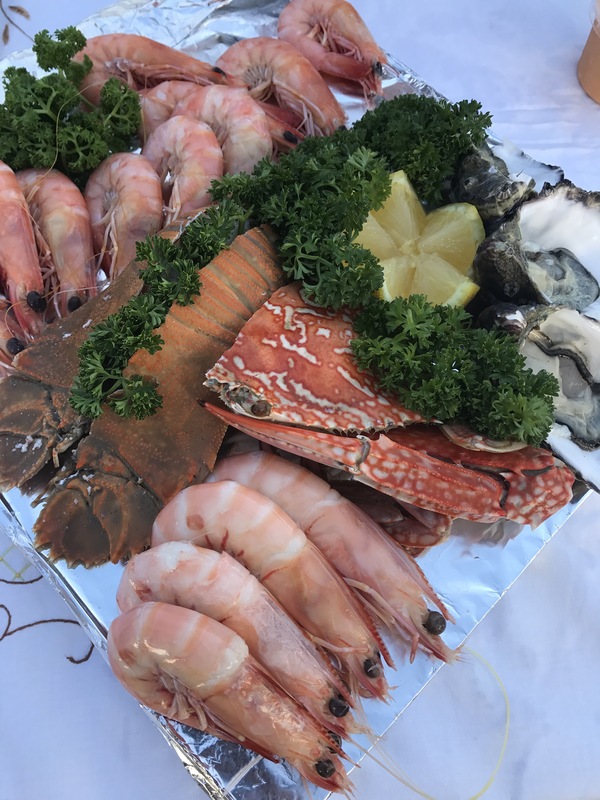 We eat afternoon tea Sunshine Coast style – Moreton Bay Bugs, Mooloolaba prawns and locally-caught sand crab – while Bruce shows us his latest projects, as well as a house boat which is already in operation and ideal for a weekend on Caloundra’s calm waters. Bruce will even pop over with a seafood platter for you, should you so desire. This is pure seduction, Sunshine Coast style. “I started brewing at home to educate myself,” he says. Pull up a perch, have a coldie with Matt and watch the blue waters of Moffat Beach. 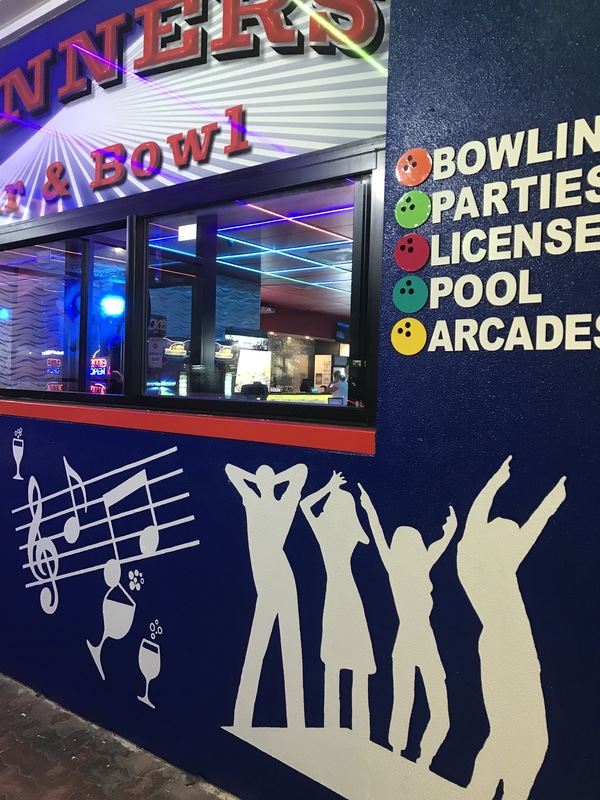 Later that night I find myself in Spinners Bar & Bowl, one of Caloundra’s newest attractions, which offers state-of-the-art ten-pin bowling facilities and a juke box with retro selections to convince you leap on to the dance floor replete with smoke machine. The joint is pumping with a colourful crowd which likes to adorn itself with piercings and tattoos. Fifty years ago, only sailors had tattoos and pirates wore earrings. (I’ve never actually met a pirate but I’m sure I’d find them fascinating). I feel slightly underdressed with no ink and only two modest ear piercings but with a bar and pizza menu to boot, pretty soon I am walking on sunshine on this journey through time with my new mates. The next morning, it’s breakfast at Sandbar Café Kiosk overlooking Pumicestone Passage before we kit up and head across the passage with Fishing Australia’s Rob Paxevanos, an Aussie angling expert. There’s plenty of boat hire operators around these parts and the bream, flathead and whiting are apparently biting. 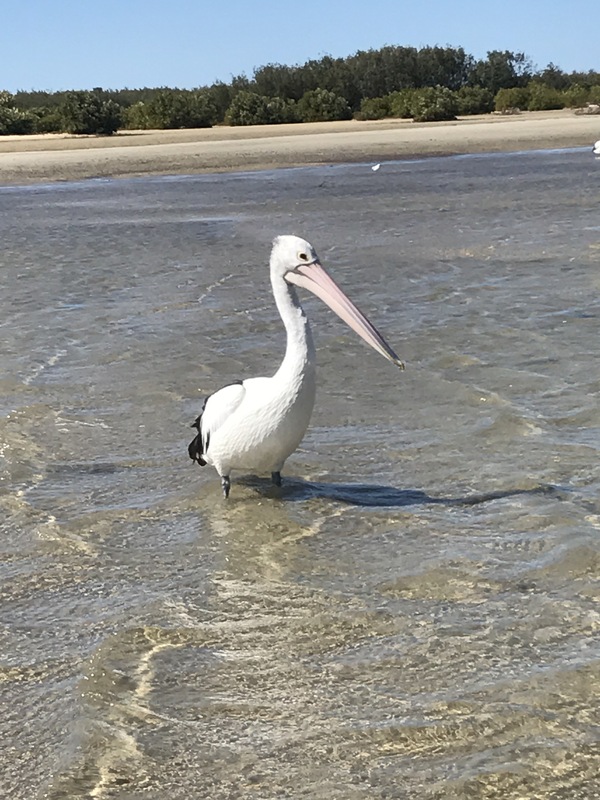 I spend a good hour lure fishing from the beach off the tip of Bribie Island with a pitying pelican the only witness to my fishing frustration. Actually, I haven’t felt this calm in ages, simply standing on the shore, the sun on my back and the breeze in my hair. I’m fully focused on my fishing and I realise it’s just like a meditation class, with a pole. I haven’t jagged any fish but I reckon I’ve caught Sunshine Coast fever, and like so many Brisbanites over the past 50 years, I’ll be back. Oh, wish I was there in that peaceful easy feeling. 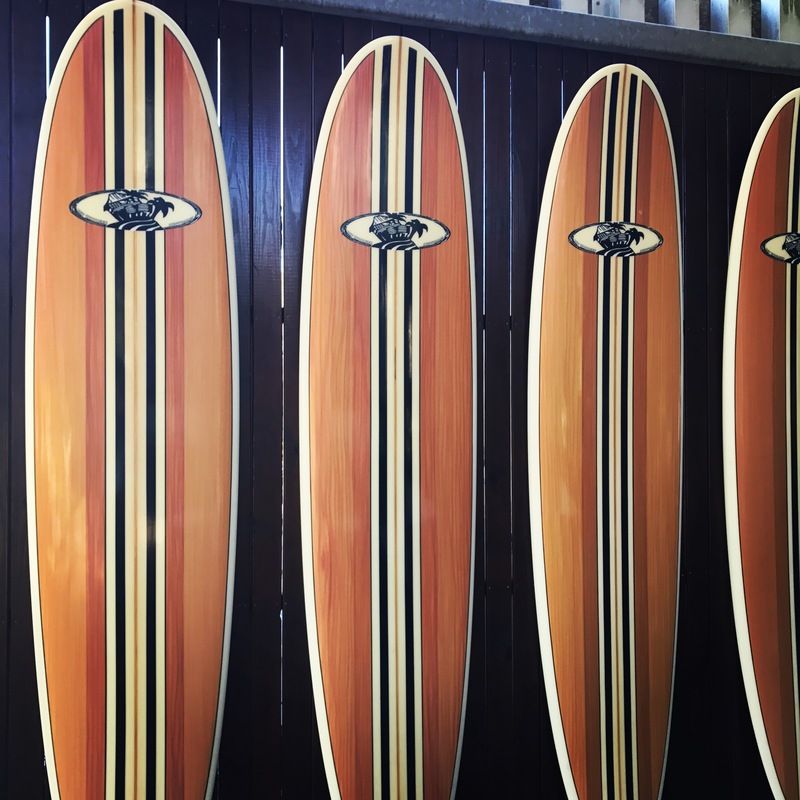 I’ll need to check out Caloundra – nice read. Think you’d love it. Totally different to Noosa. Lovely to meet you Christine on your Caloundra sojourn. Enjoyed the read and that final pic was a showstopper! You too, Leanne. What a trouper to put up with this lot of journos. My aim is to become those one of those gorgeous bathing beauties … one day! Great story.